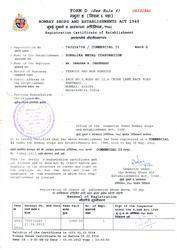 Ensconced in the year 2000, we, “Sonalika Metal Corporation”, are a prominent name in wholesaling, supplying, distributing and trading an array of Ferrous & Non Ferrous Products. We also offer Stainless Steel Products, Stainless Steel Welded Pipes & Tubes, Stainless Steel Welded Pipes & Tubes and so on. This range of products is widely acclaimed for its attributes such as corrosion resistance, load bearing capacity, high strength and durability. Developed using superior grade stainless steel, at our vendor's premise, these products are used in construction industry and fabrication of steel products. We are always focused towards presenting a supreme range of stainless steel products for our patrons. Our promise to offer products in varied forms and in accordance with the varied specifications detailed by our prestigious customers have enabled us to carve a niche for ourselves in the market. Assisted by a proficient team, we have always been offering an improvised range of products as per the demands of our customers. Our acknowledged and trustworthy vendors also make sure that we are able to fulfill the bulk demands of our customers within the promised time frame. It is because of the in-depth knowledge of our mentor, 'Mr. Dev Patel', that we are rising our stature across the globe. His sharp business knowledge and commendable domain experience have empowered us to win the faith of our valued clients. 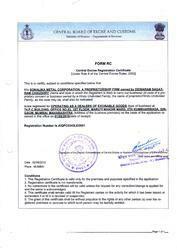 Trading of Stainless Steel Pipes, Flanges, Bars and Related Products. Quality to us is something of high importance. Thus, we engage in using of the finest raw materials, modern technology and sophisticated machinery. Owing to this, the offered product is considered to be one of the finest in its league. Further, all the products are sent to our team of highly skilled, equipped and trained quality professionals, who scrutinizes each and every product and eliminates all manufacturing defects. We are a leading wholesaler, exporter and stockist of a large range of Stainless Steel Pipes, Flanges, Bars & Related Products. This range of products is manufactured by making use of supreme grade steel and is thus, known for its characteristics such as rust proof, durability, high strength, tear resistance and load bearing capacity. These products find usage in manufacturing bus bodies, window panes and shutters. 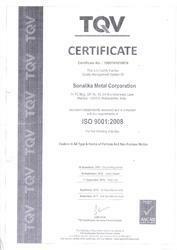 At Sonalika Metal Corporation, we feel obliged to have a team of highly dedicated professionals, recruited on the basis of their level of skills and experience. The team directs all their efforts towards achieving of a number of the firms goals and objectives. For the purpose of attaining better functionality and management of the firm, we have parted the team into several units, based on the area of expertise of each professional. We are a wholesaler, exporter and stockist of Stainless Steel Pipes, Flanges, Bars & Related Products. 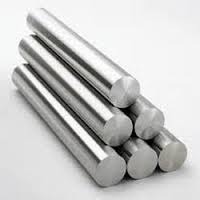 This range is developed using the premium grade stainless steel at our authentic vendor's premise and is widely applicable in different sectors such as petrochemical, metallurgical and power plants. Offered in different forms and as per the varied specifications provided by the valued clients, this range is offered to our well established global partners in required time period. We are known to be one of the leading manufacturers and providers of a highly commendable range of Metal Products. Manufactured using the finest raw materials and modern technology, as per the set industrial norms, its preference in the market is quite high. Owing to this, the offered product is quite sturdy, durable and resistant to corrosion. For the purpose of maintaining its standards, we process it through a number of quality checks. 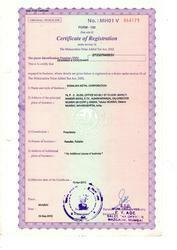 Along with this, we provide quality packaging, timely delivery and mark the products at the best rate possible.